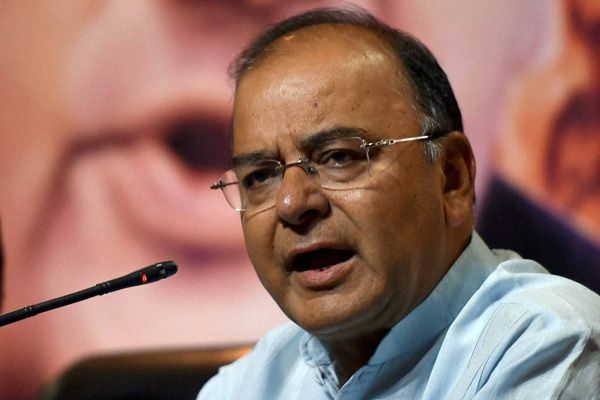 Finance Minister Arun Jaitley has said he is not worried about fiscal deficit and that the government will be able to meet its target despite additional outgo towards the implementation of the 7th Pay Commission. He admitted, however, that the impact of implementing the pay commission's recommendations, which will result in an additional annual burden of Rs 1.02 lakh crore on exchequer, will last for two to three years. "I am not particularly worried about the fiscal deficit target," he said while replying to questions on the impact of the recommendations on public finances an event on Friday. He further said that besides achieving the target, the government has also been able to improve the quality of fiscal deficit. The government proposes to bring down the fiscal deficit to 3.9% of GDP in 2015-16, 3.5% in 2016-17 and 3% by 2017-18. "If you achieve a fiscal deficit by either cutting down expenditure or withholding tax returns, then you may strictly have statistical figure, but the quality of the fiscal deficit will always be suspected...we have concentrated on the quality of the fiscal deficit and we will probably be able to maintain it," he added. As regards the impact of the Pay Commission award to central government employees, Jaitley said the normal rule is that the expenditure on salary and pension should be 2.5% of the Gross Domestic Product. The ratio will deteriorate in the initial years with the implementation, he said. However, "...as the base of the GDP increases, by the third or the fourth year, the spikes come down and (thereafter) you reasonably reach that 2.5% figure back... These pressures will be for the next 2-3 years," the minister added. Jaitley expressed optimism that the economy would grow by 7.5% in the current fiscal and the rate would accelerate further in the coming years resulting in more revenues for the government. Answering questions on rate cut on small savings scheme to bring them in line with the market rates, the Finance Minister said the government has to act "cautiously" with a sense of "political pragmatism". Observing that even Reserve Bank Governor Raghuram Rajan publicly suggested cut in small savings rate, Jaitley said, "we as an elected government have to look at it, in addition to the economic principles, with a sense of political pragmatism, because there a lot of people who are depending on it. "Some schemes were just launched, for instance the girl child scheme that gives the highest interest rate in the small saving scheme... (This was) to incentivise the people to invest in the name of the girl child. If after one year you immediately slash it down radically, (it) may not be very politically prudent...you have to move in that direction but you have to move a little cautiously." As regards the proposed reduction in corporate tax rate from 30% to 25% over a period of four years, the Minister said these would be accompanied by cut in exemptions, indicating that there won't be any revenue implications for the government. On whether it was possible to cap the Goods and Service Tax (GST) rate by mentioning it in the Constitution, Jaitley argued that it was not prudent as sin products and polluting goods needed to be taxed at higher rates. "One of the arguments also is that there are several kinds of products which will always have to be taxed higher, sin products will have to be taxed higher and polluting products will have to be taxed higher. Therefore you can't have any mercy shown to them by accepting Congress party's suggestion that 18% cap on all these products in the Constitution itself," he added. The GST Bill, which is being touted as the biggest reform in indirect taxes since Independence, is stuck in the Rajya Sabha because of political logjam.